We are expecting some warmer weather this weekend - which will be much needed for the two little boys who have caught a severe case of cabin fever! We've got a few new things going on in the shop - and this weekend is our Pamper & Press...I think there are two spots left! If you are interested give us a call today!! Valentine's Day is just around the corner! Check out this beautiful Heart Table Mat by Timeless Traditions! Make this beautiful project into a wall hanging, pillow, or table mat! 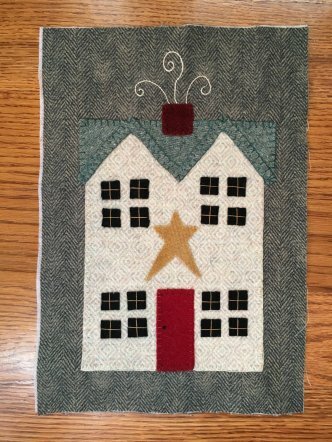 Featuring wool applique on cotton, grab a kit to make and display all year long! 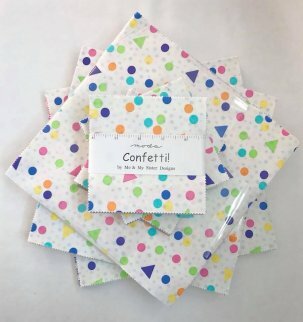 Remember those fun Confetti fabrics by Me & My Sister designs?? We now have matching charm packs (pre-cut 5" squares) and layer cakes (pre-cut 10" squares) in stock! Click here to see them online! 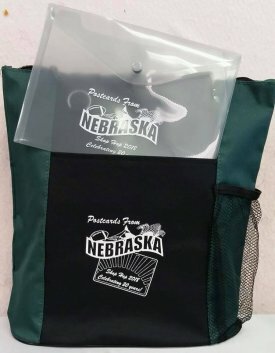 The Nebraska Shop Hop fabric is on its way! 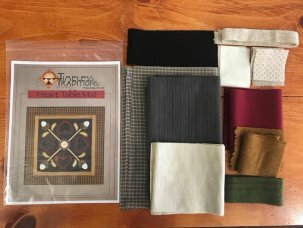 Be sure to watch next week for information on how to pre-purchase your fabrics! Plus don't forget to reserve your Shop Hop bag with us! Call the shop for more information or stop on in! I hope you have a wonderful weekend! We will be here working on our Pamper & Press projects! Stop on by and see what we are working on!